The ruins and remains of Mexico's pre-Columbian civilizations enchant, intrigue, fascinate and puzzle. 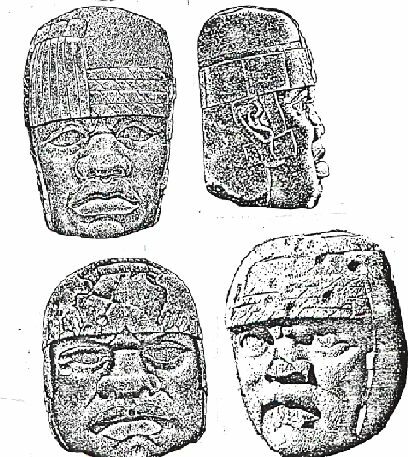 Of them the oldest and earliest, that of people referred-to as Olmecs, is the most enigmatic -- for they challenge present-day scholars to explain how had people from Africa come and settled and thrived in this part of the New World, thousands of years before Columbus. We know how they looked because they left behind countless sculptures, marvelously carved in stone, depicting them; some, in fact, are stone portraits of Olmec leaders; colossal in size, they immortalize in stone what, to many, has been an unpleasant enigma. It was not until 1925 that the existence of the Olmecs was reaffirmed when an archaeological team from Tulane University found another such gigantic stone head in the adjoining Mexican state of Tabasco; it measured about eight feet in height and weighed some twenty four tons. In time, many more such colossal sculptures have been found; they depict distinctly different individuals wearing helmets; they also clearly depict, in each case, a person with African features -- black Africans. As archaeological discovery followed archaeological discovery, it became evident that in a vast central area of Mexico stretching from the Gulf coast to the Pacific coast, these "Olmecs" built major urban centers, engaged in mining, were the first in Mesoamerica to have a calendar and hieroglyphic writing, and established what is by now recognized as Mesoamerica's Mother Civilization. The problem that this posed was twofold: Not only the issue of Negroid Africans somehow crossing the Atlantic Ocean and settling in the New World before others; but also the incredible antiquity of such arrival. This problem was dealt with by first suggesting that the Olmecs appeared after more famed peoples such as the Mayas; then by grudgingly acknowledging earlier dates B.C. 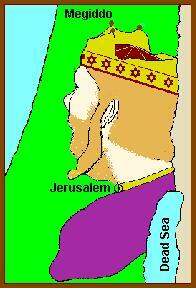 --250 B.C., then 500 B.C., then 1250 B.C., then even 1500 B.C. Faced with such evidence, the solution was to deny that these were Africans ... 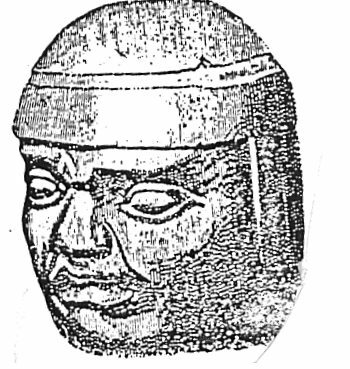 Even now a noted scholar, writing in the official catalogue of the Museum of Anthropology of Jalapa, states in regard to the individuals depicted in the sculptures: "in spite of the general similarity of features -- flat noses with flaring nostrils and thickened lips (leading some to falsely claim an African origin for the Olmec)," etc. 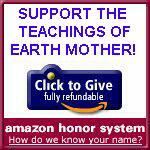 So: "To falsely claim an African origin for the Olmecs"! And this brings me to the Case of the Missing Elephant. Jalapa, a gem of a town, is about two hours' drive from Veracruz (where the Spanish Conquistador Hernan Cortes landed in 1519). Its museum is undoubtedly second only to the famed one in Mexico City; but unlike Mexico City's which displays artifacts from all over the country, the Jalapa one exhibits only locally discovered artifacts -- predominantly Olmec ones. Dramatically and effectively displayed in an innovative setting, the Museum boasts several colossal stone heads as well as other stone sculptures. It also displays smaller objects found at Olmec sites; among them, in special display showcases, are what are considered to be Olmec "toys." They include animals mounted on wheels -- a visual and evidentiary negation of the common claim that the people of Mesoamerica (and America in general) were unfamiliar with the wheel. And included in the same display case were elephants -- "toys" made of clay. Gone - Where and Why? I, and some of my fans who accompanied me, saw them on previous visits to the Museum. BUT when I (and again some of my fans with me) was there recently -- in December 1999 -- the elephants were nowhere in sight! 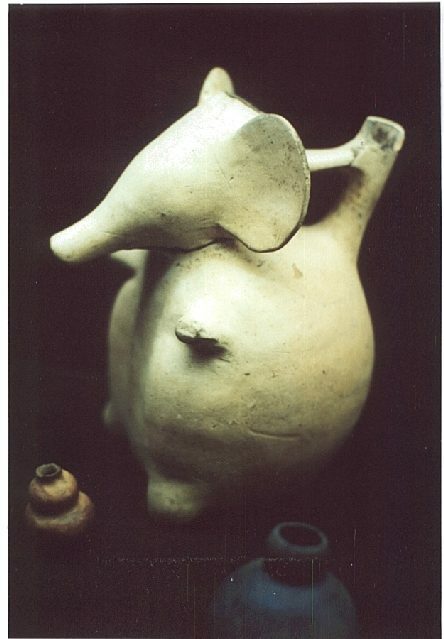 Now, here is the significance of this small artifact: There are no, and never have been, elephants in the Americas. There are and have been elephants in Africa. And a depiction of an elephant could have been made only by someone who has seen an elephant, i.e. someone who has been to Africa! At this and other museums later visited in December 1999, guards have asserted that objects that I wished to point out and that were written up in my book The Lost Realms but somehow vanished, were loaned for an overseas exhibit. Perhaps. But that such a hard-to-explain depiction of an elephant would be selected to highlight Mexico's ancient heritage, is either unlikely or highly significant. I suppose one will have to revisit Jalapa and find out whether the little elephant is back among the "toys." Reproduction is permitted if accompanied by the statement.